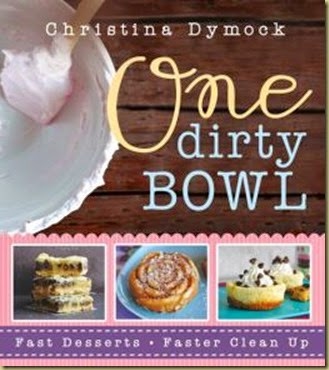 Recently, I received an email from author Christina Dymock asking if I’d be interested in participating in a book tour for her cookbook, One Dirty Bowl. When I read that the motivation behind One Dirty Bowl was to share recipes that could all be made by using only ONE bowl and a pan, I was intrigued. I definitely love recipes that only require the use of minimal dishes so that there is less to wash when done. A long time favorite recipe in our house is Pumpkin Dump Cake. It, like the recipes, in Christina Dymock’s book only requires one mixing bowl and one pan. It is delicious and very easy to make plus is always a hit. Unfortunately, I haven’t had the chance to try any recipes from One Dirty Bowl just yet, but have my eye on a couple so when I get the chance to try one out I’ll post pictures in a follow up. When I bake (and cook) I prefer to use oil instead of butter and never use shortening. Studies have shown that trans fat like the kind used in shortening are really bad so I never use it, so I never use any recipe that has shortening as an ingredient. I mention this because if you are like me, then you should know that there are quite a few recipes that call for shortening and several that call for shortening and butter. That said, the recipes look tasty, easy to make, and use very few dishes. I love the look of this cookbook both the layout and the photos. This interestingly is the first e-cookbook I own! I love the idea of e-cookbooks as cookbooks are often very large volumes that take up a lot of space, whereas a 1,000 e-cookbooks don’t take up anymore space than the size of ones e-reader. If you love to bake but don’t have the time, energy, or desire to follow complicated recipes that call for difficult to find ingredients, then Own Dirty Bowl is for you! *Disclaimer::I received an e-copy of this book from the author in exchange for my honest review. All opinions are purely my own. Please see my disclaimer policy for more information. 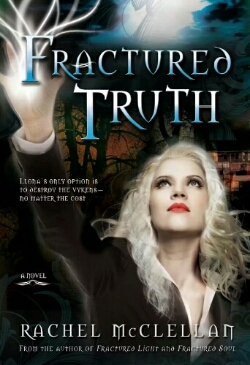 Fractured Truth concludes Rachel McClellan’s trilogy about teenaged Aura Llona who as light personified is constantly in danger from Vykens (evil) who killed her parents as her mother was also an Aura. 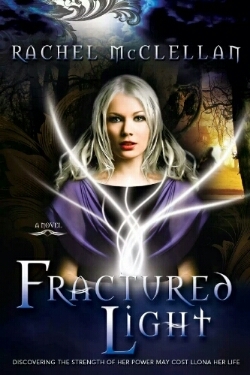 I’ve enjoyed reading Rachel McClellan’s Fractured series since I reviewed Fractured Light in December 2011. On top of loving all of her books, I’ve greatly enjoyed working with Rachel McClellan as well. While I’ve been looking forward to this book for over a year, its bittersweet as the trilogy has now come to an end. But I look forward to McClellan’s next novel. When readers last left off with Fractured Soul, Llona had transferred to the Auran academy that her mother’s sister, Sophie works at, Lucent Academy along with her best friend (who happens to be a fury) May. Unfortunately, Llona realizes that something very bad is happening at Lucent and she IS going to get to the bottom of it. Luckily May and her former guardian, Christian, are right at her side to help. When Fractured Soul ends, aunt Sophie has been taken by the evil headmaster, corrupted guardians, and Vykens. In Fractured Truth a LOT happens in a relatively short amount of time which makes reading both book 1 and 2 a MUST to fully enjoy all the complexities of this conclusion. Fans of McClellan’s will not be disappointed in all of the action book 3 packs in. Truly, my ONLY negative is that this is the last novel in the trilogy. I don’t want the story of Llona, May, Christian and the rest to end. I’ve enjoyed this journey of reviewing McClellan’s novels so very much. I love the style in which McClellan writes, and can’t wait to see what she does next. I really do NOT want to reveal too much story-plot line for those who have not had the pleasure of enjoying this awesome series. I will say that Rachel McClellan’s Fractured Light series is on my short list of favorite novels I’ve read since starting this blog. She is also on the top of favorite authors to work with. If you enjoy YA Dystopian novels, you will enjoy the Fractured Light series! Who are some of your favorite authors and their books? I’d love to hear in the comments. And if you’ve read any of this series I’d love to hear what you thought! *Disclaimer::I received an e-copy of this book from the author in exchange for my honest review. All opinions are purely my own. Please see my media kit for more information. 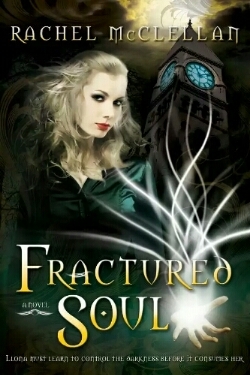 Read my reviews of Fractured Light and Fractured Soul by clicking on the title under the cover image! Jaclyn’s Holiday Gift Guide 2013!! Jaclyn’s Holiday Gift Guide 2013! I know I’m a bit late getting this posted, but between midterms, extra credit papers, and my first final in 9 years blog posts haven’t actually made it onto my site although I have written a few. If only I had a magic wand that would allow me to skip any sort of formatting….ah well, better late than never! Also if you don’t know, Chanukah falls very early on our secular calendar. For the first and only in my lifetime, Chanukah begins BEFORE Thanksgiving! This Wednesday, November 27th at sundown begins the festival of lights. While the least important Jewish holiday, it is the most recognizable because of when it falls. The incredible thought is that at sundown in two days, Jewish families all around the world will light two candles on the menorah (one for each night and one is the shamesh, the helper candle) and say the brachas (blessings). So without further ado my (first) holiday gift guide! I’ll also include a wish list so you can see what items I have my eye on. I’ll also try to add on to both lists as weeks go on. As I write this I’m listening to Chanukah music on Pandora, the first such music this season. My mom loved decorating for Chanukah. When I was little she would make sweatshirts with menorahs for me, my best friend from pre-school, and herself. Beauty products- for the woman who would still love playing with Mom’s makeup! I’m including links to where you can purchase items (some contain referral links) and reviews if I have posted any. Ipsy Glam bag – a monthly subscription of 4-5 deluxe sample and full size products plus a cosmetic bag all for $10 a month! I’ve heard and read amazing things about this subscription. A great way to try a variety of beauty products without buying full sizes. Measurable Difference Lash & Brow Amplifying Serum – an easy to apply serum that nourishes, hydrates, and conditions lashes and brows for captivating alluring eyes. Read my review HERE. Measurable Difference Lash Amplifying Liquid Eyeliner – This liquid eyeliner applies like a dream and is a very deep black. It truly stays put until I decide to remove it and then it comes off so easily! Definitely the best of both worlds, my review coming soon! Studio Gear Holiday Palette – I just received this beautiful palette a couple days ago! Right now it is on sale for $25 (reg. $40). This very slim palette contains 4 eyeshadows and 1 blush. Instead of a mirror, there are directions for creating two gorgeous smokey eyes perfect for holiday parties! The blush is super pigmented and the name Snowy Glow perfectly describes the pinky-coral tone. The smooth and pigmented eyeshadows come in Frost (a light silver-white shade), Platinum (a darker grey silver), Coal (a charcoal grey with duo chrome silver and blue shimmer), and Glimmer (a golden shimmer sheer shade perfect as a topcoat or highlighter or on its own). Read my review HERE. 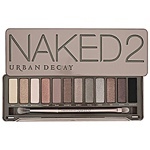 Urban Decay’s Naked & Naked2 palettes – $52 each palette contains a dozen FULL sized natural and neutral eyeshadows. The is a little overlap between the two palettes, as both have the shade Half-Baked, which is one of my favorites, so that is okay. 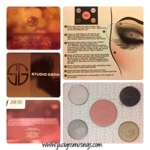 Both palettes contain super smooth, buttery, and richly pigmented shades. I use both of mine regularly. There IS a NEW Naked palette about to be released with completely new and exclusive shades all slightly rose gold toned. The Naked3 is high on my wish list. 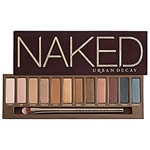 There is also a Naked Basics palette $27 with 6 matte shades to complement the Naked palettes or to stand alone. Benefit Hervana blush – $28 this still remains one of my all time favorite blushes. It was this blush that changed my entire perspective on blushes! Before I was sent this blush, I pretty much thought blush was evil for someone with naturally rosy tinted cheeks, but how wrong I was. Now I absolutely LOVE blush. So thank you Benefit! What a fabulous gateway blush. Highly recommend for a naturally rosy tinted look. 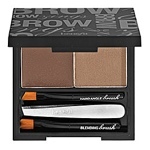 Benefit Brow Zings – $30 I absolutely LOVE this little compact! I got this for my birthday 9+ months ago and still have quite more than half left. This little compact sure packs a huge punch when it comes to filling in ones eyebrows. Everything you need is included from powder, to setting wax, two mini brushes, and a mini tweezer. While I don’t care for the included tweezer, it does work in a pinch. But the mini blushes are fantastic! Those are by far my preferred brushes to use for my brows even over my full sized counterpart. Benefit They’re Real! Mascara & Watt’s Up? Highlighter – $23 and $30 for full sizes. I am putting these together because that is how I tried them. The minis of these are in the birthday gift from Sephora for Beauty Insiders (free to join) for this year. I absolutely LOVE both items! 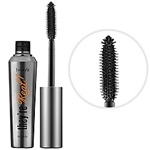 The brush on this mascara is unlike anyone I have ever used before. There is a little spiky ball on the end of the wand which is perfect for my short and sparse lashes. The highlighter is a gorgeous warm cream colored stick with a golden sheen. Both minis are perfectly sized to carry in ones purse. Lancôme Teint Idole 24hr. Foundation – $45this is the foundation I am currently using thanks to a Sephora gift card. It is beautifully lightweight full cover foundation that is extremely easy to apply with fingers, brushes, and/or sponge. This one is fairly sweat resistant and is smudge resistant throughout the day. Starlooks Cosmetics – I have their 15 piece brush set which is just amazing! I love to quality of their brushes. Actually everything I’ve tried from Starlooks has been excellent quality. I would highly recommend their lipstick, gem pencils, gel liners, blushes, bronzers, and brush sets. I’ll be posting a review of the brush set coming soon! Bath & Body Works – I love their products! My most favorite scent is their limited edition Summer Vanilla series specifically the Summer Vanilla Lemon! Overall I dislike perfume and so I tend to prefer body sprays since they are generally lighter scents. I wish I had gotten a second Summer Vanilla Lemon body spray as I use the one I have everyday! You can’t go wrong with getting BB&W items as every woman (and man) bathes. Prada Candy Eau de Parfum – $82 for 1.7 oz This is the ONLY perfume I’ve come across that I truly love the scent of! I’ve only gotten samples of this so far because of the high price tag, so this will also be on my wish list, a girl can dream! Maybe because this scent is much lighter than many traditional perfumes, its sweet scent is one that I enjoy. I just don’t think the bottle is as pretty as say Marc Jacobs perfume bottles are. I wish there was just ONE of his scents that I liked as I’d enjoy that bottle indefinitely. I love the way perfume bottles from before the 60′s looked. Books- Including some of my favorite reads since I started this blog. And for some reason trilogies seem very popular! Clockwise series by Elle Strauss – I LOVE all three of books in the Clockwise series and hope that Ms. Strauss will write another story or two or ten. Beautifully written story about 16 year old Casey Donovan who has a little problem of time traveling at the most inconvenient moments. She always travels back to the same time loop, in the 1860′s in Cambridge, Massachusetts. Things get even more complicated if she is touching someone skin-to-skin when she “trips” back in time, she’ll take them with her! Read my reviews of Clockwise, HERE, and ClockwiseR, HERE. Fractured Light trilogy by Rachel McClellan – When 16 year old Llona Reese learns that her parents were killed by Vykens (evil personified), she knows that as an Aura (light personified) she is in danger. Without training or guidance Llona does her best to learn about who and what she is in hopes of saving her life and the lives of those around her. The concluding novel is scheduled to be released in about April 2014. You can read my reviews of the first two novels HERE and HERE. Beckoning Light trilogy by Alyssa Rose Ivy – When 16 year old Charlotte moves back to Charleston, South Carolina, she is inexplicably drawn to a locked gate in her back yard. One night she finds the crystal key that opens this mysterious gate and enters another time and place. There she finds that she really didn’t know her mother as well as she thought. You can read my reviews of the first two novels HERE and HERE. Divergent trilogy by Veronica Roth – Soon to be a major motion picture, the concluding novel in this exciting trilogy was recently released. Tris lives in a society where everyone belongs to a faction, like a micro society inside another one. Tris happened to have grown up in Abnegation where selflessness is valued higher than anything else. When it is Tris’s turn to go through the simulator in order to decide what faction she should belong too, something odd happens and suddenly Tris is told that not only is she Divergent, but that she must NEVER tell ANYONE what she is. The Warrior Heir series by Cinda Williams Chima -The first book is from the point of view of Jack Swift who unbeknownst to him that he has magical abilities. Even among others with these special abilities, Jack is unique. This leads to him becoming the hero in this coming-of-age series. Each subsequent novel is form the point of view of another one of the main characters. Delirum trilogy by Lauren Oliver – This dystopian trilogy is set in the future where falling in love is outlawed. In fact the government strips its citizens of their ability to love when they reach a certain age. So what happens when one teen does the unthinkable! She falls in love with someone. Ender’s Game by Orson Scott Card – Probably my very favorite sci-fi novel. I’ve at the very least, liked every Orson Scott Card book I’ve ever read. Nowadays we’d likely also cross-reference this as YA dystopian. Tempest series by Julie Cross – A time travel series about Jackson who is able to travel back in time, but this also gets him in trouble. And have serious consquences for this friends. As Jackson realizes the implications of time travel the risks become greater. Inkheart trilogy by Cornelia Funke – It is only when a young man begins reading a book out loud for his wife and young daughter does he realize that he has a unique ability to make things (living and not-living) appear, but everytime something appears, something else has to disapear. And then he finds that he is in danger because of this ability. Alicia, My Story by Alicia Appleman-Jurman – This is an extremely powerful story of survival. When I was in 9th grade Ms. Appleman-Jurman came to the Jewish high school bureau programming to tell us her story. I dare you to read the first page and not be hooked. Ms. Appleman-Jurman’s story is one of love, scarifice, and the will to live. Netflix – Netflix is a great gift for the movie and tv show fan! While I discontinued the dvd portion of the service, I did subscribe to it for many years and very rarely had any sort of problem with the service. I still subsribe to the streaming part of the service and watch many tv shows and movies on it. Hulu Plus -Hulu Plus is perfect if you have a device (ie Nintendo Wii, Playstation, Roku, etc) that allows you to stream directly to your tv. While I dislike the commercials especially sicne it is a service I’m paying for, I do find being able to use it to watch many (excluding CBS) of my favorite tv shows on demand. 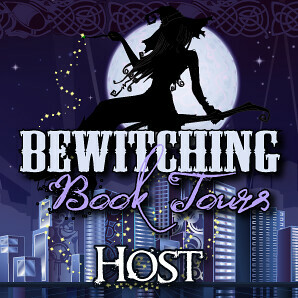 Welcome to my first book tour of 2013! Just over a year ago I had the pleasure of participating in the book tour for YA author Rachel McClellan’s debut novel, Fractured Light (you can read my review HERE). 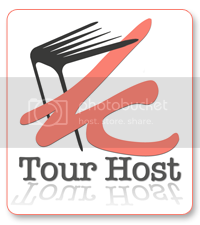 So when I received an invitation to join the tour for its sequel, I quickly and excitedly responded that I was in fact very interested! Fractured Soul centers around Llona (pronounced Ee-ona) and begins not long after where Fractured Light left off. Like in the first book, the main plot is the ongoing fight between good (Auras) and evil (Vykens). Yet lines between good and evil have become even more blurred as things are almost never as clear as black and white, but more like various shades of gray. Llona and close friend May are the newest students at Lucent academy which is the school Llona’s Aunt Sophie runs. But once again trouble seems to follow Llona no matter where she goes including the one place in North America that is supposed to be safe for Auras! Llona, like her mother, is an Aura and as such is told she is only a being of ‘light’ and as such is not supposed to want to be able to fight and defend herself. But Llona is ANYTHING, BUT typical or ordinary. In this next part of the story, Llona learns quite a bit more about how and why she has very different capabilities compared to the other Auras studying at Lucent Academy. One of the main reasons that I gave Fractured Soul 4.5 stars (and not 5) is because there was a HUGE cliffhanger at the end of the novel. I was very annoyed that soooo very much was left unresolved. And of course the third novel more than likely will be unavailable for at least a year! I very much look forward to the next book in this series as I’ve really enjoyed Rachel McClellan’s Fractured series. 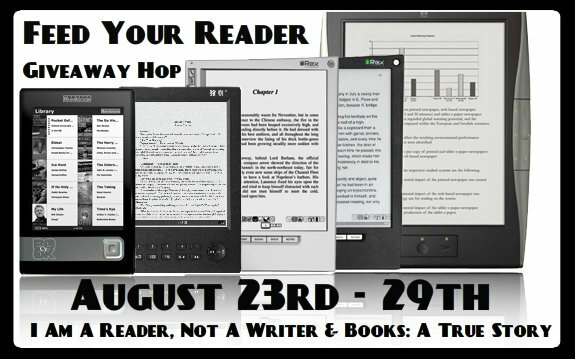 Feed Your Reader Giveaway Hop! Author Elle Strauss has been generous enough to sponsor this giveaway which means one lucky fan will win ALL three books in the Clockwise series! I’ve been fortunate enough to have been able to read and review all three of these books. If you are interested in reading my reviews you can find by clicking HERE for my review on Clockwise, HERE for my review on ClockwiseR, and HERE for my review on Like Clockwork. All you have to do is fill out the easy to use Rafflecopter entry form below. 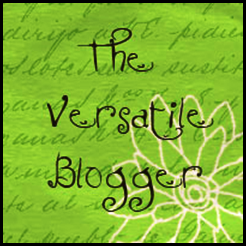 And don’t forget to visit the over 100 other blogs participating in this event co-hosted by I’m a Reader, Not a Writer and Books: A True Story. *Disclaimer: I received a copy of each of these books from the author or book tour company for the purpose of writing an honest reviewing. Please see my disclaimer policy for more information.